Standalone IP to ASI converter. 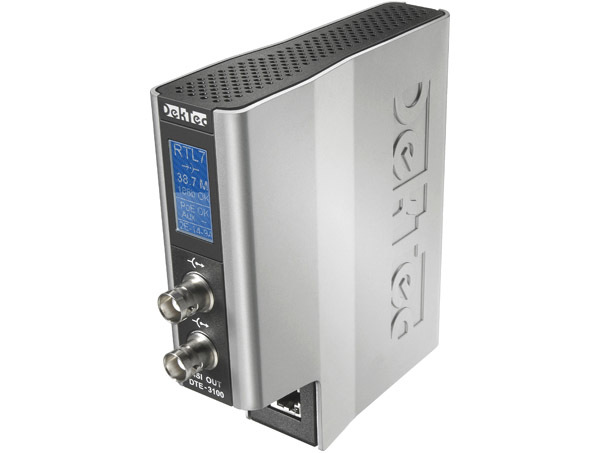 As a companion device for the DTE-3100, the DTE-3120 offers ASI to IP conversion in the same fashion as the DTE-3100. Compact OEM module for interfacing Transport Streams from or to a network. The DTM-3200 converts either from IP to ASI or ASI to IP (user selectable). If you require a webinterface or SNMP for control, then the DTE-3100 is the best choice if you.